Whheeewww. Is really all I have to say after the past few weeks. My head is finally coming back above water and I'm starting to be able to breath again. 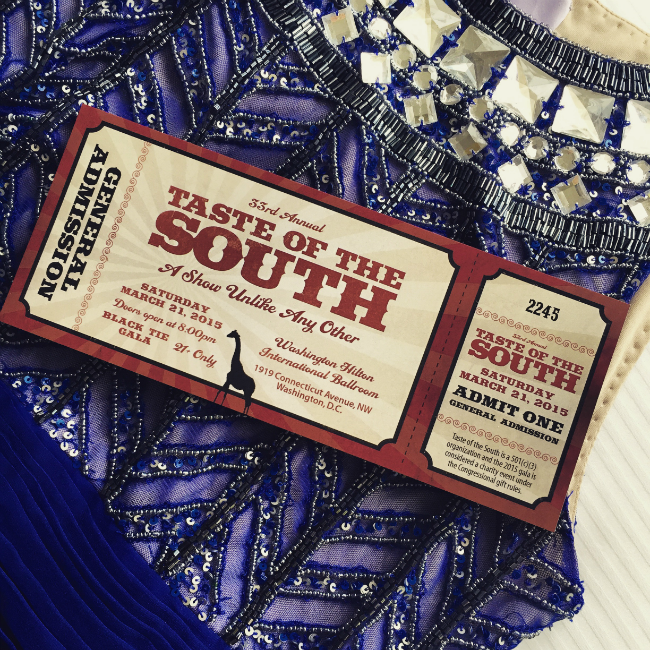 This was my first year being in charge of a portion of the Taste of the South Charity Gala. Y'all are probably sick of me talking about this event, but it really has consumed a majority of my time over the past few weeks/months. There will be one last update coming soon, with the majority of the post featuring photos from this year's gala. I hope to have that to share with y'all next week! Now back to our regularly scheduled program... blogging. 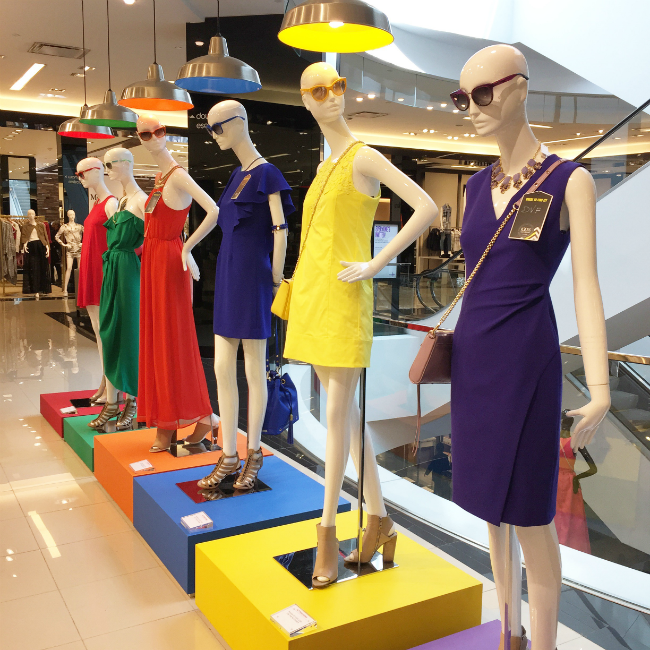 Bloomingdale's Fashion Night Out with the Junior League of Washington, D.C. I'm really excited and super honored to have been chosen as one of five bloggers to style this year's Fashion Night Out, hosted annually by the Junior League of Washington, D.C. and Bloomingdale's. I chose two outfits that really scream SPRING to me, to feature in tomorrow night's show. I focused on easy and feminine looks that encompass spring trends such as fringe, block heels, gingham and one of my favorites, the scalloped edge. I'll be sharing the looks tomorrow night on Instagram, so be sure you're following along! Last year I partnered up with Megan from Simple.Savvy.Self to share with y'all a week of healthy posts. Y'all loved it so much, that I'm partnering up with another blogger friend, Alissa, to bring you another week of tips for getting in shape. More to come, soon! Another exciting collaboration will be happening next month with the brand new app and business, PopNod. Featuring 10 DC bloggers, the campaign will allow followers of each blogger to purchase pieces from a series of outfit posts. 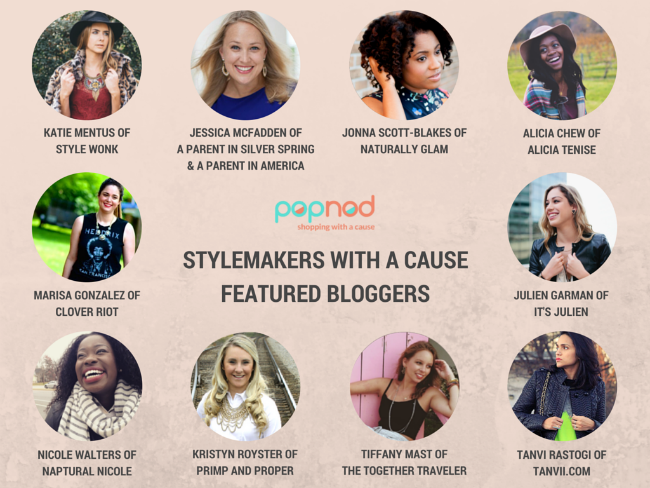 A portion of the sales will be donated to the charity of choice for each blogger. Mine is Team Red, White & Blue. I love our Veterans and am so thankful for their service and sacrifice. Team RW&B is an excellent program that helps "connect vets with their community both physically and socially." Campaign kicks off the 1st of April! When I first started blogging I wanted to focus on life right out of college. Feature posts about entering the real world, how to land that dream first job, dress for the professional world, etc. While the blog ultimately took another turn, I hope to bring some of my insight back for a little mini-series this April, just in time for graduation and summer internship preparation. So I know June is still very far off in the future, but I am SOOO excited about being selected to attend this year's Southern Blog Society Conference in Charleston, South Carolina!! The Southern Blog Society is made up of a great group of bloggers from all across the southeast. There's also a Southwest Society and other regions coming soon. I cannot wait to spend a long weekend in Charleston meeting some of my favorite bloggers, brands and seeing the sights. I've only been to Charleston once, and for less than 24 hours. So it'll be a fun weekend that I cannot wait to share with you all as well!! Hair Tutorial - doesn't need much of an explanation, but I assure you that one is coming soon!! You've got so much going on... thanks for letting me/us be a part of it! Of course!! Thanks for always being so supportive! Woohoo! I'm so bummed that I can't go to the fashion show tomorrow, but I'll be closely following along on IG :) You have so many awesome things planned! Yes, please do Alicia!! We shall miss you tomorrow night! Thanks :)) can't wait to share it all on the blog soon!